Sweet potatoes. Growing up they were something that randomly appeared in our Sunday dinner, and they had a weird color so I never touched them. Little did I know the wonder, nutritional value, and pure tastiness that is the sweet potato. These tasty root veggies originated in Central and South America over 5,000 years ago. Ironically, the popularity of the sweet potato has declined in the U.S. since the 1950’s, due to the correlation between sweet potatoes being a staple during hard times, thus affluent people veering away from the thing that reminded them of those hard times. Sweet potatoes are rich in complex carbs, dietary fiber, beta carotene, vitamin C, vitamin B6, manganese and potassium. In fact, the sweet potato is one of the healthiest vegetables in existence. 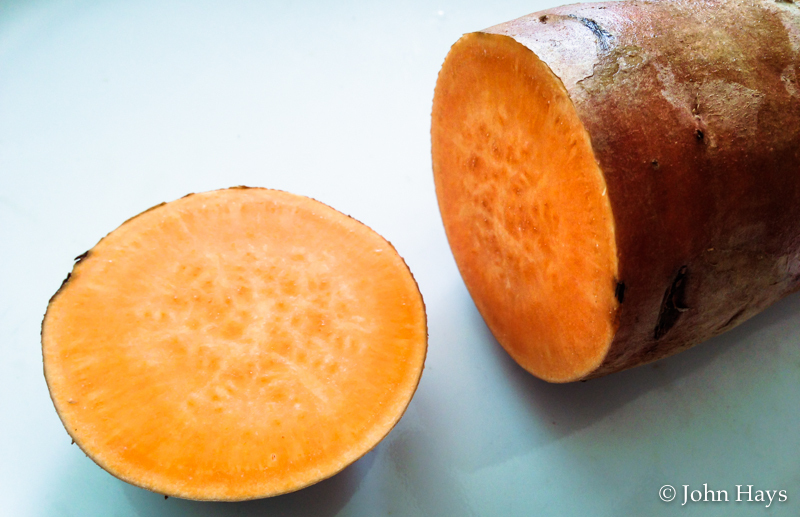 Also, despite appearing similar, the sweet potato is not in the same family as the yam or the regular potato. They are by far the healthiest carb around and are excellent for fuel when performing resistance based exercises. When eaten an hour to an hour and a half before a weight lifting routine, they provide energy for the entire workout. Sweet potatoes are amazingly diverse in their culinary uses, ranging from hummus to pancakes. Pies, soups, liquor, fries, chips, desserts…there’s no limit to how they can be used to add flavor and nutrition to a meal. So, next time you need to add a carb to your meal, consider the sweet potato. All the pleasure, none of the guilt!